First of all I know I will creating some amazing memories. At the second award ceremony last year I had the absolute honour of being chosen by my sister Directors to be presented with the Damsels in Success Director of the Year award. As so much goes on behind the scenes before the big day, I honestly hadn’t even thought about the possibility winning it until 10 minutes before it was announced, so as my last minute preparation, I put on an extra layer of lipstick and vamped my speech when I got up on stage!!! As well as the gorgeous, glittering prizes there are so many other brilliant things to look forward to, too. For a start there’s the build-up: Everyone gets the opportunity to nominate special women in one of the 10 categories. It is fabulous to know that so many amazing women out there will now be recognised for being inspiring and making a difference. As a member of the Damsels family we directors can’t be nominated ourselves and in fact assist in the short-listing process… What a fabulous but tough task this has proved to be for ALL the Damsels directors! I’m only glad I don’t have the final decision to make – that is now down to a public vote, now that the short listed candidates have been announced. Next come the all important preparations – there is a posh frock to be chosen, nails to be painted, hair to be done – all the accoutrements of a gorgeous and glamorous night out. And it’s not just a night for ladies, gentlemen are very welcome to come along too – and the dress code for them is ‘black tie’ (hence they earn the nickname of our ‘James Bonds’). The Damsels in Success Directors get to announce the nominees and present the prize in each category. So there is the delicious ‘drum roll’ anticipation of it all, and then the “ahs” and applause as the award is announced and one surprised and delighted woman steps onto the stage to claim her prize. The lady who won the Award in 2012 was Lisa Cherry – author of a number inspirational books, including her latest one ‘Steering the Mother Ship’ about the complexities of the mother / child relationship. Lisa came up to me later and thanked me personally for the award – in return I gave her the card and gold envelope which announced her as winner. In 2013 the winner was Hannah Davis – author of inspirational teen fiction book ‘Voices of Angels’. Both women are amazing writers whose published work has made an inspiring difference to the world, I’d never heard of them before the Awards and now I am proud to say that I have made meaningful connections with them and follow both of their paths with warm and genuine interest. And my fellow authoresses aren’t the only contacts I have made at the Awards – there have been Facebook friends met in the flesh for the first time, the new people I get to chat to and make meaningful connections with and it has all been so pleasurably effortless. So looking forward to the next ceremony, I know that the enjoyment factor is going to be 10 / 10… I get to be with Lucie (Bradbury, Damsels CEO) and my sister directors; I get to host tables with my own Damsels members, guests and friends, and there will be so many other people from the UK wide Damsels community and way beyond that I get to spend quality time with. 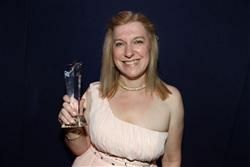 When other people in your circle win, it is a gorgeous and infectious feeling too… One of my own Burton members – Hayley Lloyd Wilkins, won not one, but two prizes – for ‘The One to Watch’ and most ‘Inspiring Damsel in Success Member’ in 2012– so to say I was proud would be a severe understatement!! Add to all this a great 3 course meal, champagne, laughter and dancing, as well as the prize giving and the absolutely inspired choice of MC’s. In the past we have had Richard Wilkins and James Lavers both of who managed to both inspire us and make us laugh! For 2014 our MC is the gorgeous Abi Griffiths, TV Sports presenter and voice for ‘A Positive Image‘, an organisation which promotes women in sport, she is also an Ambassador for the charity Sense and their sports programmes for DeafBlind people. And THIS year, we have the added bonus of a FREE ‘Business with Ease’ seminar being held on the same day. Buy your evening ticket and you will also learn Lucie Bradbury’s 7 LAWs for Life, business and beyond, presented by Michelle Clarke (Cardiff Director), Dan Bradbury (Lucie’s husband and the number 1 marketing guru of the coaching world), and myself, along with some of my other sister Damsel in Success Directors… Bargain! Then we get to party, and when the night is over, it’s not all over… As someone who has been nominated for and won awards in the past, I know how exciting / humbling it is to find out that someone else values you and what you do. Not only that – it is also a good PR call. After my award I did the rounds of newspapers and radio stations, which meant I could shout from the roof tops about Damsels in Success and my book Peachey Letters too! I’ve always considered my self blessed with my birth day, since it sits at the glorious apex of summer – on the day after the summer solstice; so for me, summertime is birthday time and I have (nearly) the longest, loveliest day to stretch out my ministrations and celebrations. No so long before this day I had been bullied by 3 boys, who had menaced me for dinner money on the way to and from school, and warned of dire consequences if I ‘told’… It was a terrifying time… Eventually though my mother found out and the boys were very publically punished and caned, as was the way back then… Yet outside of the church hall on that birthday day, one of the bullies appeared. He was in appeasement mode and gave me money as a birthday gift. Money – the very thing he had menaced me for! So that day went beyond celebration to closure and was extra special because of it. Now, as an adult, I still most definitely believe in the act of gratitude and celebration, and when I imbue my day with that gorgeous spirit, all is well. On other birthday days there have been arrangements and decisions and wondering whether any one would join in and I have regretted the strange effort I have afforded to saying – look at me – asking for your attention! And when the attention didn’t come or the invites weren’t acknowledged, it was crazily crushing – I imbued them with stupid significance and felt insignificant as a result. I changed the deal, rocked some boats as a result and messed up for a myriad of heated and hated reasons. Now I regret those ego tussles and the fear that came with them. I wonder if for some people I know things may never be the same as a result. But then I remember too that the bully came back to me with his shiny silver and so I believe, with love, that it will either become unimportant in the big scheme of things, or is / will be forgiven or forgotten or that may be it was time to change and some how, in some way, that we can all roll onto the next circle in this spiral of life. Now though I am slowed and it simply feels calmer and easier to say, I am celebrating my day, join me in what way you will… And so every quiet response and gift is a gratitude gorgeously received. I am here, I am me and in the world wide view I humbly want to be a catalyst for change in this world. I know in some senses I have influenced and supported and made a small difference, so I am good with that and that knowledge is a gift too. But for today, just let me eat cake and enjoy the sunshine and lift a glass of champagne to life, to love and to lots of laughter. The author of this ‘Love Letter to Life’ has written a whole book of love letters, for you to peruse, to dip into or to read from cover to cover – whether to answer, to celebrate or know you are not alone. You buy your own copy of Peachey Letters – Love Letters to Life on Amazon and book websites around the world, in both paperback and Kindle. 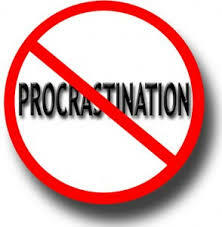 Is it time to STOP Procrastinating..? Have you been planning, thinking, wishing or dreaming about new projects and horizons – either consciously or even sub-consciously??? At Damsels in Success we’ve just held the first of this month’s events – and for June this is all about ‘getting out of your own way’. Have you ever had the realisation that what is stopping you from being happy / wealthy / healthy / what ever it is that you want, is YOU??? The ‘can’t do thoughts’, the reasons not to, and the effort it would all take to make the change? It’s now time to ‘get out of your own way’ with Damsels in Success Burton on Trent. Discover your true passion and purpose and blast away the blocks to living the life you choose. This is a very special time in the world of Damsels for another reason too – the Women Inspiring Women National Awards (sponsored by Damsels in Success) gives recognition to women who inspire other Women (that’s all of us right?! ), not only in the world of Damsels.